What do you get a Googler who is having a baby? Google baby swag and stuff. 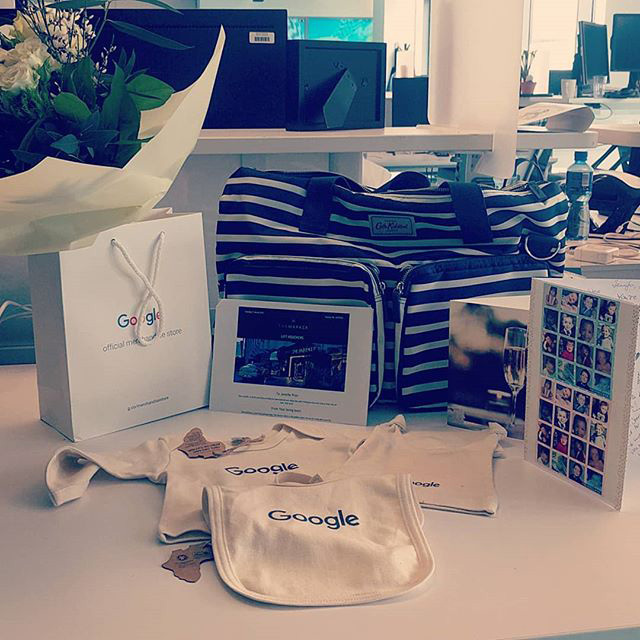 Here is a photo from Jennifer Prior who posted on Instagram some of the Google stuff she got at her baby shower from her team at Google. She wrote "Big love to my wonderful team for gorgeous #babygifts & #spaday @themarkerhotel!!"